Khan’s post-mortem report stated that injuries brought about the cardiac shock. Video grab shows the attack on dairy farmer Pehlu Khan in Alwar district on April 1. He died of injuries later. One of the three members of the medical board, which conducted the post-mortem examination of the body of Pehlu Khan who died after being assaulted by gau rakshaks in Alwar district, on Thursday said injuries were the main cause of death and cardiac shock was secondary. Earlier, Dr Akhil Kumar Saxena, consultant anaesthesiologist at Kailash Hospital in Behror where the five men were admitted after the assault, had said Khan died of cardiac arrest induced by shock while the others had sustained injuries. Khan’s post-mortem report stated that injuries brought about the cardiac shock. “After careful examination of the dead body by medical board, the fact reveals that cause of death is shock brought about as a result of antemortem thoracoabdominal injuries mentioned in PMR report, sufficient to cause death as ordinary course of nature. However, viscera collected and sent to FSL and pathology department to rule out any poisoning or associate causes,” it stated. 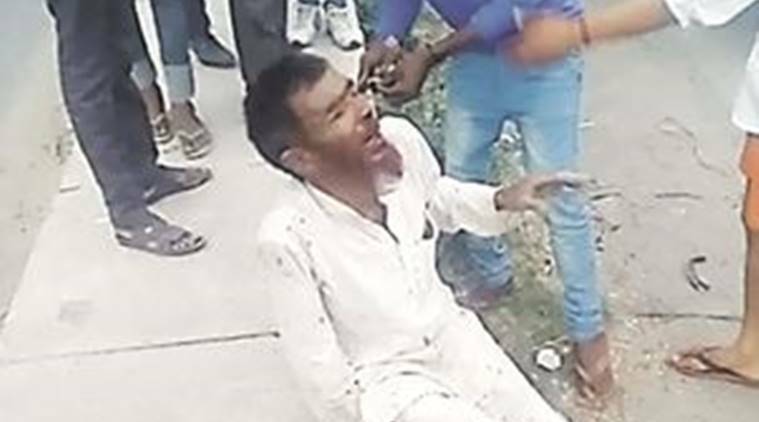 Meanwhile, Alwar police, who arrested three persons in connection with the lynching, said they were probing the attack and had also added the murder charge after Khan’s death. The FIR, in which the complainant/informant was Behror SHO Ramesh Chand Sinsinwar, stated that the incident took place between 7 pm and 10 pm on April 1. On the basis of the FIR, the SP constituted three teams under DSP Parmal Singh and arrested three persons on Wednesday. “We produced the three, whom we had arrested yesterday, in a court and took police custody. We are interrogating them,” the SP said. At the Behror police station, SHO Sinsinwar said they were “working tirelessly” to nab the accused, six of whom were named in Khan’s statement to police before his death. The police have also announced a reward of Rs 5,000 for information on each of the six main accused. “With Khan’s death, we have added IPC section 302 (murder) as well,” he said. The FIR lists the other IPC sections invoked: 143 (punishment for unlawful assembly), 323 (punishment for voluntarily causing hurt), 341 (punishment for wrongful restraint), 308 (attempt to commit culpable homicide), 379 (punishment for theft) and 427 (mischief causing damage).